It was my birthday yesterday! I've had the pleasure of of spending the weekend in Brighton with Ben, and also saw my friend Sophie, after months of separation since she went to uni. If you've never visited Brighton before, I strongly suggest you go, as the huge range of shops will keep you entertained for hours! Here's a quick overview of what I got up to! Sunday night, much to my surprise, I bumped into Zoe Sugg, AKA Zoella! She was so so lovely, and just like she is in her videos. We even had the same jacket on! (see above) It turns out we also featured in her VLOGMAS video HERE. At approximately 6:52, we can be seen in the right hand corner.. Only a few seconds, but enough to get me excited! This was literally a few seconds before we met her, after she'd finished vlogging. The timing couldn't have been more perfect! Afterwards, I walked around in disbelief, saying nothing but 'I can't believe it!' for a few hours! 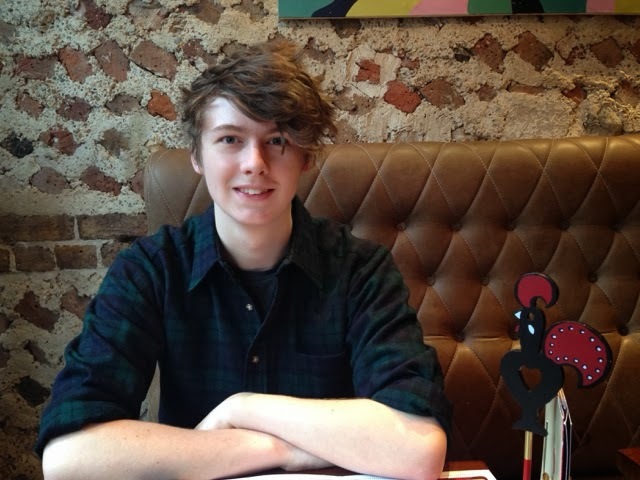 Brunch at Nando's with Ben.. it was empty at 11:30am! We had our usual order, and it arrived in literally less than 5 minutes. I kind of regret not trying something a little more exotic, independently run, and 'Brighton-y', but we were so hungry, we just ran to Nando's! Here's a little peek of the vintage 60's dress I picked up in one of Brighton's many vintage clothing shops. 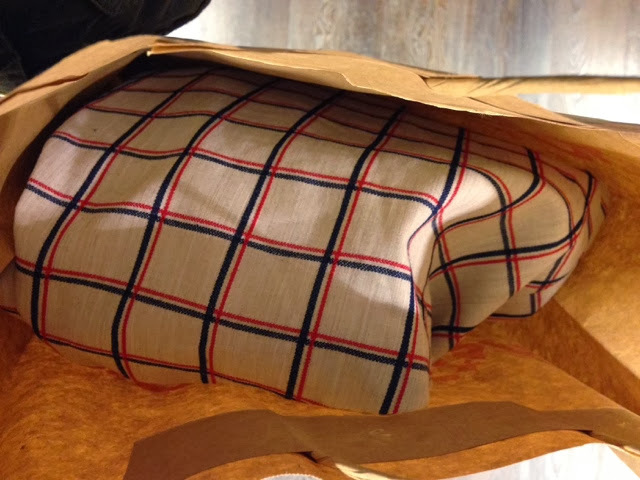 Ben got some really lovely stuff as well, such as a green blackwatch shirt, and a Levi's denim jacket. These cookies are literally the best in the whole world! Definitely not to be missed! 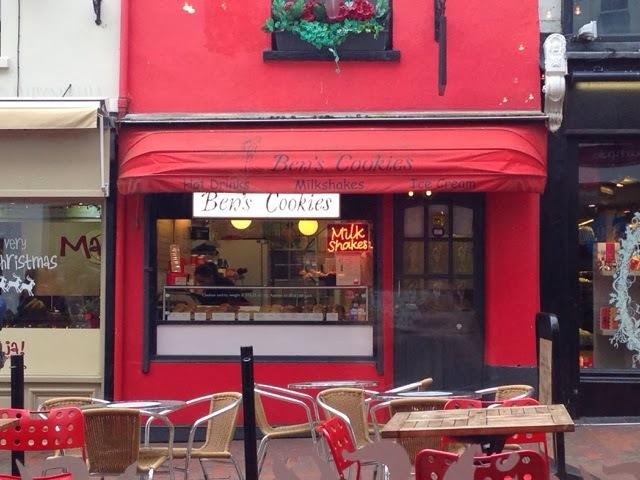 (Opposite Nando's) They're so gooey and warm, and the triple chocolate one..... well, it's certainly got chocolate in it. I couldn't believe my eyes when I walked past.. I had no idea it was here! I went in and drooled over the NARS blushers and Laura Mercier foundations, but sadly left empty handed. 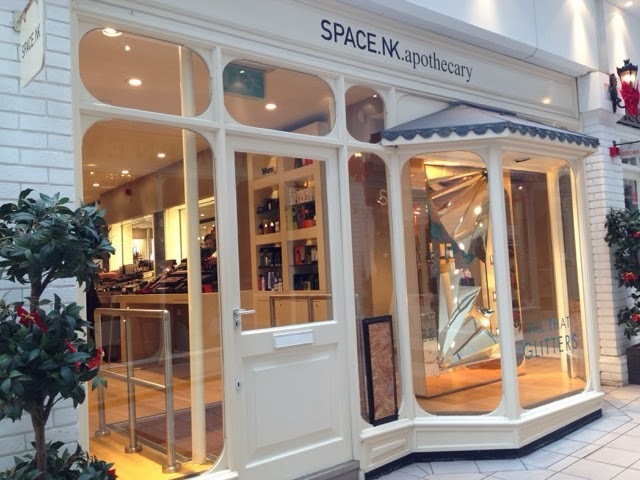 A must-visit shop for any beauty addict! Also see - MAC shop, and gigantic Boots store. And finally, this little fella! 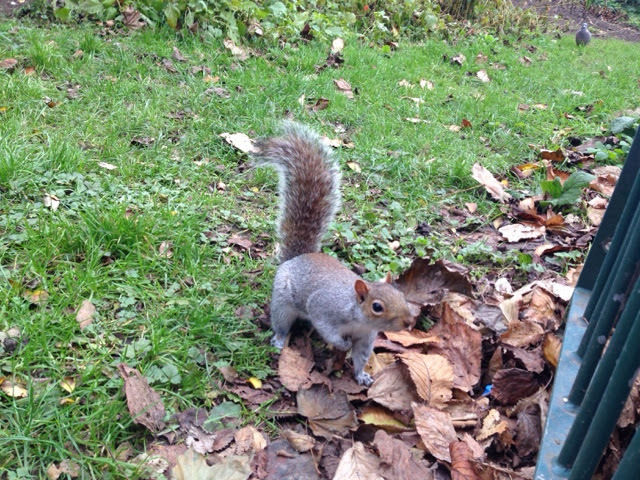 Me and Ben walked around by the Royal Pavillion, and the surrounding grounds are literally SWARMED with these adorable squirrels! They're oddly very tame, and jump on the fence posts at the sight of the camera. I did take a few more snaps of them, but this is the only one that made the cut! We will have to go for our date night in brighton when we both have some spare cash! Lovely post as always my dear, that squirrel is adorable! WHAT? I"m so jealous. I love Zoe!! SO exciting!!! she was really freindly!! Ahh! would you like to follow eachother? 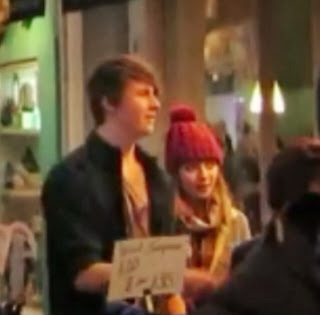 I live near Brighton, and I have also see Zoe there too, although I kept double taking and was like "Why does that girl look so familar," then I realised. I was way too scared to be like HIIIIIIIIIIIII - haha! can't believe you met zoella! she's so adorable! 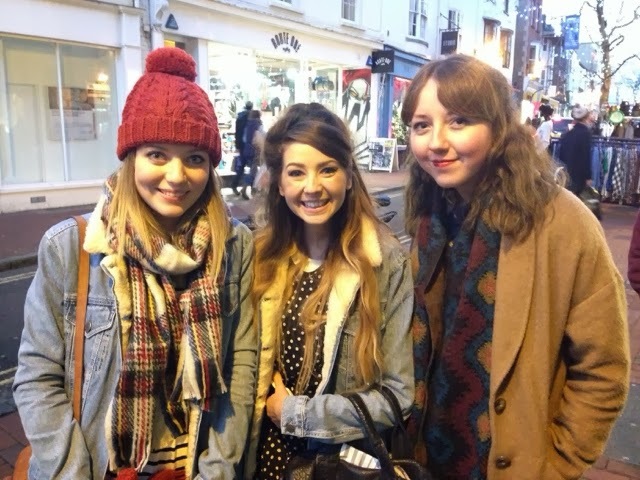 So jealous about you meeting Zoella. Brighton looks amazing, I have never been but it is definitely on my must visit list. Thank you, I know, I can't believe it! And this was before she was even living there!